This is a white, one-sided and self-adhesive special paper which is wood-free and impregnated with a calcium carbonate buffer to counteract the effects of acids. Solvent-free, pH neutral, and age-resistant acrylic adhesive. 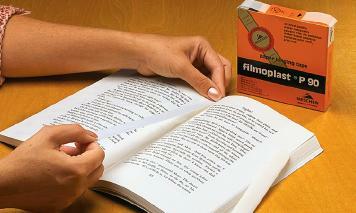 Used for repair of the edges of pages, replacing pages, and strengthening the inner spine of the book.